Young Living vs doTERRA is a question a lot of people ask when choosing an essential oil company. Below is my experience with both and what I found to be the difference between Young Living and doTERRA. This article was originally published on March 7, 2015 and was updated on March 28, 2018. A couple of years ago I was introduced to essential oils through an amazing lady who was also a doTERRA rep. She gave me some samples and encouraged me to give them a try. So I did, and I was intrigued at the support and relief they provided. I continued to use doTERRA and was quite happy with the quality and the support she was able to provide me. Essential oils are great for cleaning and wellness. I loved the idea that I could clean without chemicals, relieve minor aches and pains, support stress relief and improve mood, all while making the air smell good! I was finding that essential oils provided support for my body to do what it was designed to do. As the years passed, I began to notice other people talking about other brands of essential oils, most notably Young Living, and so I became curious about the differences between them, I wondered which would be a better fit for me, doTERRA or Young Living? A couple of months ago I began to really pay attention to and research Young Living and what I noticed about them immediately was how accessible their products are. Young Living seems to go out of their way to make it easy to find their products, they provide easy to understand descriptions, and they make blends that the average person can relate to. I don’t have a side-by-side Young Living vs doTERRA comparison chart, but I did find a couple key reasons that made Young Living stand out for me when compared with doTERRA. It’s hard to completely explain, but I was drawn to Young Living because they make essential oil usage feel like something anyone can understand, which is a feeling I didn’t necessarily get with doTERRA. I don’t think this is how doTERRA presents itself, I think it is simply personal preference with regards to their marketing and the way they promote their products. I just relate better to the Young Living brand. One of the things I struggled with doTERRA was being able to share the products as I shared my passion for the oils. While my main motivation for joining doTERRA was to get the wholesale pricing, I also was intrigued by the idea of turning my passion into a business. But as a blogger, I wanted to share it through my blog, not through a party plan setup. doTERRA doesn’t let you directly link to any of their products, making it difficult to share the products online. Young Living allows you to directly link to their products, but not only that, you can create custom links so that if you direct someone to the website and they choose to become a customer or wholesale member, they become YOUR customer. This allows you to offer support to them and grow your home business. Young Living provides SO MANY resources both educational and business-oriented. You could spend days reading through the material. They have provided a library of documents to help you not only understand essential oils and how to use them but how to grow a successful business. And their available resources continue to grow. Young Living also provides a library of stock photos we can use in our blog posts and online marketing. They also pride themselves on their customer support and will provide guidance and information and answer questions over the phone or on live chat. I don’t really know how this compares to doTERRA. They may have a similar setup, but I was a member for a long time and never found them – so if they do have these resources, they weren’t obvious in my virtual dashboard around 2014 or so when I was a member. This obviously could have changed. I received fantastic support from my extremely knowledgeable doTERRA sponsor. She was always willing and able to provide me with the information I needed regarding the oils themselves. But what I have found with Young Living is that my upline are bloggers and as such, they completely understand my needs as a blogger. They have paved the way for bloggers and offer advice and tips to help me be as successful as possible sharing Young Living on my blog with Facebook groups, e-courses and even graphics to use to get started. They also do offer support for non-bloggers as well, but for me, the key was that they understood my needs and have been successful with their Young Living business through their blogs. We believe that you and your family deserve products that are genuine, free of synthetic chemicals, and of unmatched purity. Seed to Seal® is both a promise to you and a reflection of our sense of global stewardship. With my passion for natural living, this promise reassures me that Young Living actually cares about the quality of the products my family and I use. Not that I didn’t feel that doTERRA cared, it just seemed easier to confirm this information with Young Living. The family-friendly aspect of Young Living was a huge selling point for me. It kind of goes hand-in-hand with the approachable aspect but goes beyond that into the huge range of products they offer. Young Living has products for the entire family, with dedicated kids and pet products, cleaners and cooking tools and even toothpaste and shampoo. I really feel like Young Living provides products that fit our entire lifestyle – it’s the complete package. At the end of the day, the choice is yours as to Young Living vs doTERRA. These are my reasons, but you may not relate to these companies in the same way that I do. If you are considering joining a direct sales company you have to choose the one that you connect with the most. The one that you feel is the best fit for you, your lifestyle, and your plans for turning your interest and passion for essential oils into a business. It’s not actually a matter of Young Living vs doTERRA, I believe that the difference between doTERRA and Young Living really comes down to a personal choice. Which brand you relate to the most. Young Living vs doTERRA prices – is one more affordable than the other? doTERRA vs Young Living compensation plan – is one more generous? Product selection – does one have more products you will use? doTERRA Young Living blend comparison – do you have a particular need that one brand can’t fill? For more information about Young Living and how to get quality essential oils at wholesale prices visit Young Living’s website to learn more. But wait. What if I’m not ready to commit to either of these companies? What if I want to just try essential oils without the expense or commitment? Are other essential oils just as good? Maybe. Maybe not. Some essential oil companies dilute their oils with solvents and alcohol so you have to be careful. I do have one recommendation for a non-direct sales essential oils company that I am comfortable recommending. You can try quality oils at affordable prices without membership expenses. That company is called Edens Garden. They are a small family owned company who seem to be doing it right! Visit their website for more information: Edens Garden Essential Oils. They have FREE SHIPPING on all orders and they have great blends and a fantastic variety of oils and blends for kids as well. They also have a rewards program where you earn points for your purchases and points for people you refer to them too! 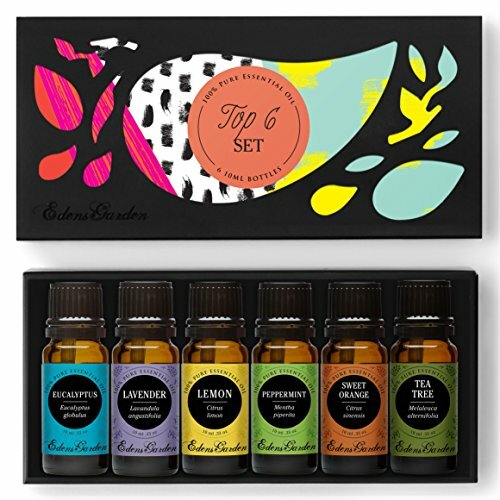 Some Edens Garden Essential Oils are also available on Amazon.com if you prefer to order from there. I use young living, but don’t sell. Young living has a line you can ingest, but technically, you are supposed to be able to ingest any oil that is ingestable otherwise. This, of course, is not for everyone as I learned the hard way after attempting a glass of water with drops of lemon and peppermint for heartburn. I was on the couch sick the entire day. I only got up to pray to the porcelain god. I would like pure oils that you can ingest. The difference between Young Living and Do terra is that Do terra was founded by x employees of young life. And that young life grows theirs and Do terra re bottles. And that a lot of they blends are similar. But if you can Ingest the oils that would hopefully mean they are 100 percent pure. Hi there! I believe they are of similar quality. I’ve used them both and for me I consider them equal. Hi Julie, I haven’t used or researched that brand so I just don’t know. I’d love to hear what you find out if you do look into it. That really didn’t give any actual reasons. This was not helpful. I haven’t tried either brand … yet … but I like that Young Living offers so many resources for people (like me) that need a little direction! I think you’d really like the information and resources available.